Produce spotlight: Berries, pineapples, and more! If the gray and gloomy weather is getting you down, we have just the solution: fresh fruit & vegetables! 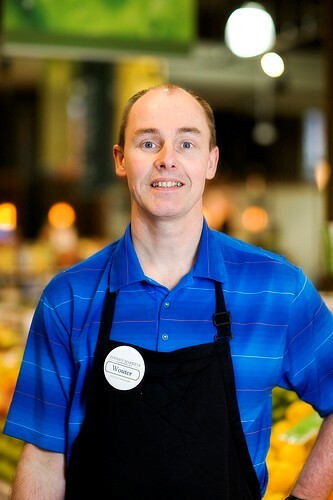 This week we talked to Wouter, our produce expert at our Belmont store and he shared some of his top picks. Zupan’s: What’s your background in the produce business? Wouter: I’m from Holland and my mom’s side of the family had a produce business. When I was 14 I started working in the back room there and in high school and college I specialized my training in retail. I worked as a produce manager in Holland before moving to the United States. So total, I’ve been in the produce business for 27 years and this is my 14th year working for Zupan’s! This has been one of the best places I’ve worked at and has been such a great experience working with such good quality products. Zupan’s: What’s good right now in the produce section? Wouter: Oh, we have lots of exciting things in produce right now! We have great blueberries from Chile and we also have strawberries coming in from California. I think with the sunny weather this week it’s a great idea to come in and get some berries! We also have a great selection of Hawaiian pineapples right now. Zupan’s: If people aren’t sure the best way to pick their pineapple or berries, can you help? Wouter: Of course! We can definitely help pick out the best for them. So if you thought that fresh fruit & veggies were hard to come by in these winter months, think again! There is some amazing produce available in our stores right now that will keep your mouth happy, body healthy, and your stomach full. Stop in today and have one of our experts help pick you some of the best produce in Portland.